Today, I move back to Germany to one of my favorite tracks, which is the site of the next IAAF World Challenge meet, ISTAF Berlin, which is being held today. 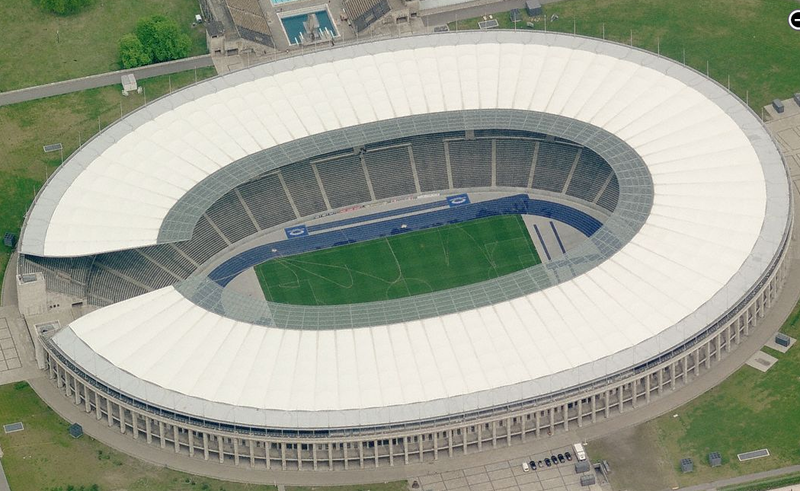 Built for the 1936 Olympic Games, Olympiastadion is one of the most historic sports venues in the world. It was renovated a few years ago for the 2009 World Championships. The renovation did a great job of retaining the classic structure and look of the original, while adding some modern touches, like the fabulous blue track (which is what I use in my header image). I found two great panoramas of Olympiastadion on 360Cities: one from the end of the stadium, and one from the side. Both are inside the stadium. Be sure to check them out!